Whilst in Chiang Rai our lovely reception lady had organised a private driver to take us on a whole day trip to the White Temple, Signha park, Baan Dam Museum, the natural hot springs and the Golden Triangle. It was a full day of exploring and discovering new sights and for 2000 Tbh for the two of us it was totally worth it. After another filling breakfast in our lovely hotel off we went in the back of the taxi to our first stop Singha Park. Having enjoyed our bike ride so much the day before we thought we would hire a tandem bike (Thomas quickly regretted this decision once he realised he would end up doing all the cycling whilst i videoed and took pictures). It certainly was the best way to experience the nature park, riding past the lake, the farm and the tea plantations. We even stopped off for some coconut water (this was quickly becoming our favourite drink, it’s so refreshing!) whilst taking in the views. After Singha park, we were driven to the White Temple, we were both very excited to experience this place first hand after the mass of photos we had seen. Once we arrived and were through the gates, this place certainly did not disappoint. We strolled around the unconventional Buddhist temples at our own pace admiring the fantastic architecture. The pictures painted on the walls inside the main temple were amazing to see, they were so surreal and mesmerizing. After we had wandered around for a bit we spotted other tourists gathered around some tables writing on silver hearts and hanging them on a tree. We strolled over and brought a heart off one of the Thai ladies. At first I wasn’t quite sure what we were meant to be writing on them until another kind tourist came over (she must have thought I was looking a bit dumb struck and took pity on me) and explained that you are meant to write your name and a wish before hanging it on the tree. We thought this was a lovely way to end our visit here. A quick tip for women, if you are visiting the White Temple, you need to cover your shoulders and knees, I took some long beach pants with me that I could roll up in my bag. Just over an hour later and we were back in the car off to the natural hot springs. Our expectations of the natural hot springs were most certainly too high, as we arrived we decided to pay extra for our own private bath. We had been imagining lovely clear waters overlooking beautiful views. What we got was a dark tiny walled room with a hole in the floor and a tap near-by to fill it up with, which stank of rotten eggs (nothing like the idyllic picture i had in my head of natural hot springs). Needless to say, we did not stay, we got out of here as quick as we could and hopped back into our taxi and headed off to our next destination. We arrived at Baan Dam Museum and this time we weren’t expecting too much after our trip to the hot springs. Baan Dam Museum was something else though and definitely not what we were expecting. The museum made a nice change from the usual temples around Thailand. We enjoyed exploring the buildings and wood work by the local artist which were very bizarre and unique. I’ve previously seen this place described as the ‘yang’ to the white temples ‘ying’ and totally agree with this description. If you enjoy culture then this one is definitely up your street. After exploring the museum we grabbed some local Thai food and a smoothie from one of the many eateries just outside. The food was delicious and with our bellies full we were ready to head off again. Back in the taxi and off we went, this time we both fell fast asleep as it was getting to be a long day. A little while later and we were being awoken by crossing control as we headed further north to the Golden Triangle. Once we had arrived, still a bit groggy from sleep, we were ushered out of the taxi and over to a small stall selling boat rides up and down the Golden Triangle. Our driver sorted us one out, explaining that we didn’t have our passports on us which they were asking for. We were given two life jackets and shown down some steps to the river. We climbed into a very small, very old boat with the driver and off we went; it was a bumpy ride with water splashing over the sides as we sped down the river towards Myanmar passing Laos. As we pulled back around the driver asked if we wanted dropped off in Laos and told us that another boat would bring us back for 30tbh, we both said no as we had no passports on us (plus we didn’t want to risk being stuck there!). After our boat trip and with our feet back on firm ground, we went off to explore the different shrines that were nearby. The Golden Triangle is worth a visit if you are doing it as part of a day trip but I wouldn’t go just for this, as there is not a whole lot to see here. We did take a stroll off the track a little, past the usual bric a brac stalls (where we couldn’t resist buying some Thai tea! ), up a hill and some steps (where we stopped to take photo’s of the lovely views) to a very old and worn temple (we would recommend a stroll up here if you are visiting, as it’s interesting to see). Back in the taxi we headed back towards our hotel, along the way our driver made a couple of stop offs at a small temple and an old wall separating the north. We couldn’t have asked for a better day or a better driver who along the way pointed out different sights to us and managed to tell us a little bit of Thai history (even if every time Thomas spoke to him, he would just laugh and nod, turns out this is not just an English custom!). 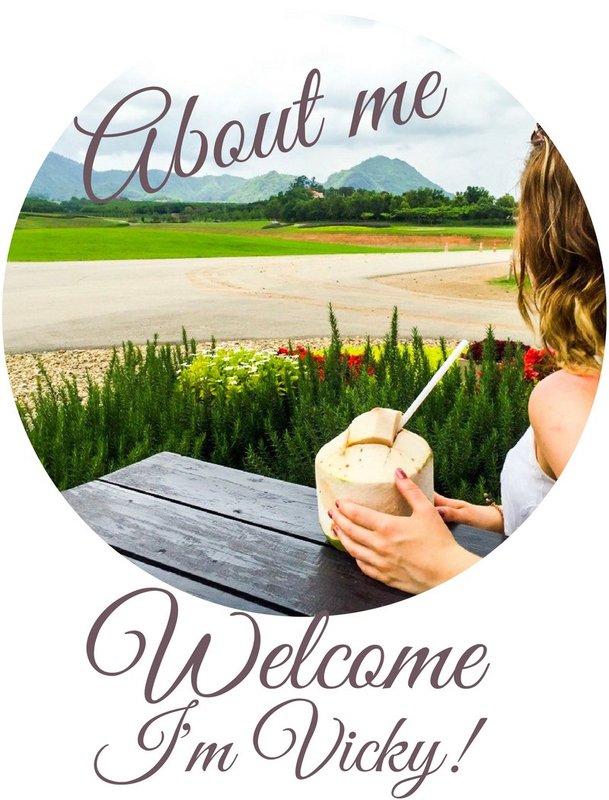 To find out what else we got up to in Chiang Rai click here! Lovely photos and looks like a great experience! I want to spend more time traveling in Thailand! Lovely photos. I wonder how Thailand can inspire travelers from different parts of the world with similar level of astonishment!